Dimitri Moshovitis, co-founder and executive chef of the burgeoning Cava empire, has taken World Food Program USA’s school meals mission to heart — and he’d love to have other local toques lend a hand. 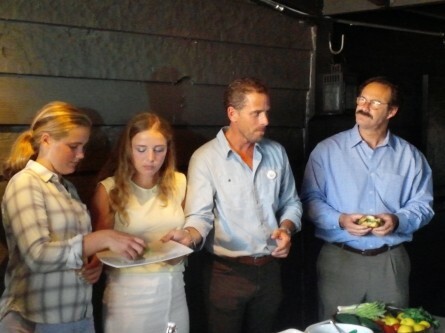 “When I heard about this I was like, ‘Why doesn’t everybody do this?’” Moshovitis said following a cooking demonstration where he taught WFP USA board chairman Hunter Biden and his daughters, Maisy and Finnegan, how to whip up grilled chickpea burgers. Per Biden, son of Vice President Joseph R. Biden Jr., the group empowers struggling nations by combating hunger and promoting education. “It’s truly transforming entire societies,” Biden said of WFP USA’s focus on food security. Per WFP USA president and CEO Rick Leach, ensuring that others are well fed is something virtually everyone on Capitol Hill falls in line behind. “There are no people, that I’m aware of — Republican, Democrat, conservative, liberal — who oppose the school feeding program,” he said. In fact, Leach said Congress has only continued to build upon the vision laid out by former Sens. Bob Dole, R-Kan., and the late George McGovern, D-S.D.. The food policy vets created the international school feeding program , a humanitarian effort fostered by Presidents Bill Clinton and George W. Bush. Moshovitis urged fellow chefs to get involved ASAP. “If we had 100 chefs doing it, we could do so much for so many children in the world,” he said, adding that “it’s a crime against humanity” to not give back. “We have a responsibility in our community. We need to expand that into where we can help as chefs,” Moshovitis said. Cava is expected to donate $0.25 for every dish purchased from Sept. 1 through Sept. 16 at any of its locations to the program. He appears to be in good company. Neighboring restaurateur Aaron Silverman, owner of critically acclaimed Rose’s Luxury , has been contributing to the cause since before the restaurant even opened . 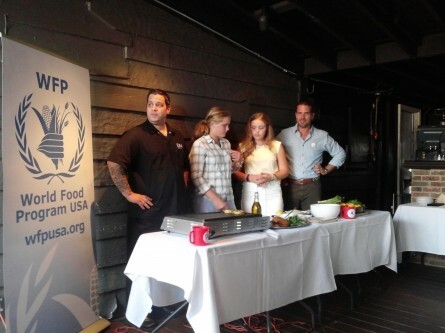 Moshovitis estimated that fellow toques Bryan Voltaggio , Mike Isabella and Spike Mendelsohn — by virtue of their other philanthropic endeavors — would be well positioned to help propel WFP USA’s fundraising to the next level. “I want to make this big,” he said.